Easter themed pieces across the UK on show this holy weekend to help you discover your religion or at least ponder it. 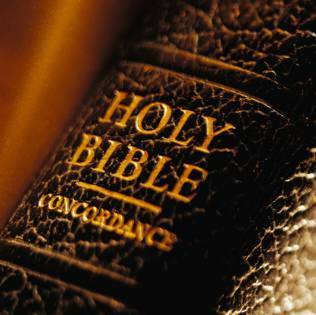 The Bible: An eagerly awaited recital of the King James Bible in its entirety. In celebration of the renowned publication’s 400th anniversary, the Globe Theatre is presenting a reading across 12 sessions in celebration of the oral tradition. A group of actors is to present the text, which was originally commissioned my King James I, in full; taking in total nearly 70 hours of recitation. One is not expected to sit throughout each session as late and readmission is allowed. I cannot think of a better way to celebrate this Easter than experiencing this epic text come to life. A review will soon follow. Italian theatre practitioner Romeo Castellucci will be presenting this religious themed, if controversial, piece over the Easter weekend. Before the backdrop of a renaissance image of Christ, Castelluci is to explore the concept of Jesus as icon. Castelluci is well-known for his perfectionism, in fact just a few weeks ago he cancelled the planned show at the Barbican, an adaptation of Hawthorne’s The Minister’s Black Veil, because he did not think it was yet ready for an audience. A follower of the Artaud’s Theatre of Cruelty, it will be interesting to see how this emerges in Castellucci’s discussion of Jesus Christ. Should you be more interested in the theological, self-flagellation side of this holiday, than this is the piece for you. Part of the London Word Festival and Co-curated by the Henningham Family Press, are throwing their own celebration for the 400th birthday of the King James Bible. The book is to be explored through various artistic mediums including literature, art, film, and music in an evening of performance. From the Garden of Eden to Noah’s Ark, expect a lively theological debate to take place. For those that don’t already know, the brilliant John Malkovich will be gracing the London stage for a 2 night only event at the Barbican. 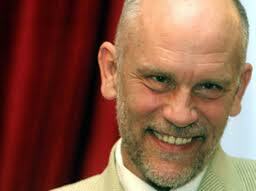 In the Infernal Comedy, Malkovich will be the sole actor on stage and will be portraying the notorious serial killer Jack Unterweger to a score that includes pieces by Mozart, Beethoven and Haydn. It promises to be a must-see and, as yet, it has seemed to have slipped under the perennial theatrical radar. In another event at the Barbican, the theatre group, Duckie, who have said they like to mix the ‘arthouse with the dosshouse’, are putting together a piece that will take its audience through the night and in to their dreams. They are going to transform the Pit into a sleepy commune and have encouraged audience members to attend, clad in their nightwear. And what’s more, they provide breakfast first thing in the morning. It will certainly be a soporific experience and even at the hefty £40 price tag, will undoubtedly be a performance that will remain with you for a very long time, even if those memories will be swimming largely in your unconscious.